CVS, Zipcar, a Lawrence apparel maker, and ArtLifting took new approaches to old practices. While Tesla, Steve Wynn, and Market Basket employees forced changes. The following people and organizations are on our list of 2015 Game Changers. They did extraordinary things last year, reshaping the way we live and work. The state’s Supreme Judicial Court ruled that the California company could continue to sell its vehicles directly to consumers at the Natick Mall (above). Tesla Motors accomplished a rare feat last year: The electric-vehicle maker beat Massachusetts car dealers at their own game. The state’s Supreme Judicial Court ruled that the California company could continue to sell its vehicles directly to consumers at the Natick Mall. 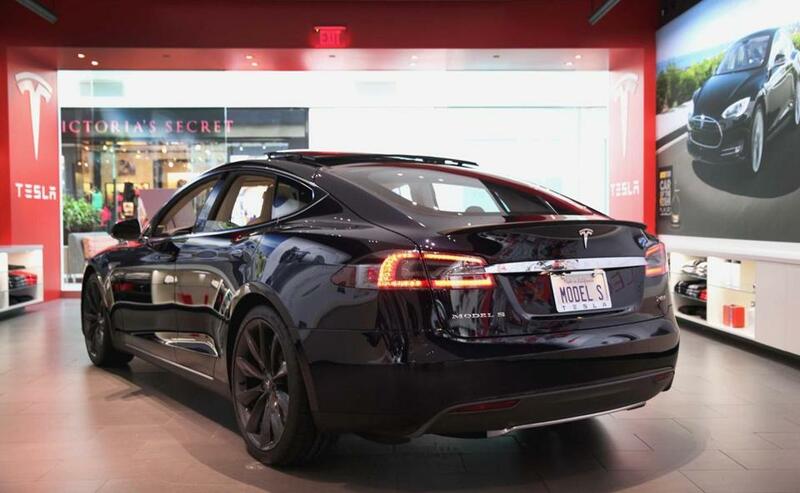 The Massachusetts State Automobile Dealers Association had contended Tesla’s storefront violated a state law that bans manufacturers from owning and operating dealerships. The court said the law only applies to manufacturers that sell through independent dealerships. Tesla doesn’t work with dealers and instead sells high-performance custom vehicles at its own showrooms in select states and through its website. Tesla’s cheapest car retails for about $70,000, but the company intends to release a more affordable $35,000 model in 2017. The car maker is also experimenting with self-driving vehicles. 99Degrees Custom leader Brenna Schneider studied options with fabric cutter Mark Currie. On a visit to Lawrence, you can tour the historic mills where industrial manufacturing was introduced to America in the 19th century. Or you can drop in on Brenna Schneider, the founder of an 18-person firm, 99Degrees Custom, that is at the forefront of small-run, quick-turnaround apparel production in the 21st century. Schneider created a company focused on the “me commerce” trend — online orders of a single item that has a unique combination of colors and fabrics or a special fit. It keeps track of jobs with a cloud-based information dashboard and plans to install ultrasonic welding technology this year. Already, the company is working with customers like New Balance, Under Armour, and Tracksmith, a fledgling Boston sportswear brand. Even casual observers believed the fix was in when it came to the Boston-area casino license, knowing that proponents of a Suffolk Downs casino had longtime allies in City Hall and the State House. But Steve Wynn bucked conventional wisdom: The casino mogul barreled into Boston as if from another planet. Wynn promised to bring the glitz of Las Vegas to the banks of the Mystic River, drawing high rollers from exotic locations to gamble here. In September, the Massachusetts Gaming Commission went for Wynn Resorts’ glamour over the more modest proposal for Suffolk Downs. Numerous casino industry projects emerged during recent years in southern New England. But Wynn’s brazen path into the region’s economic heart promises to shake up the market more than any other. 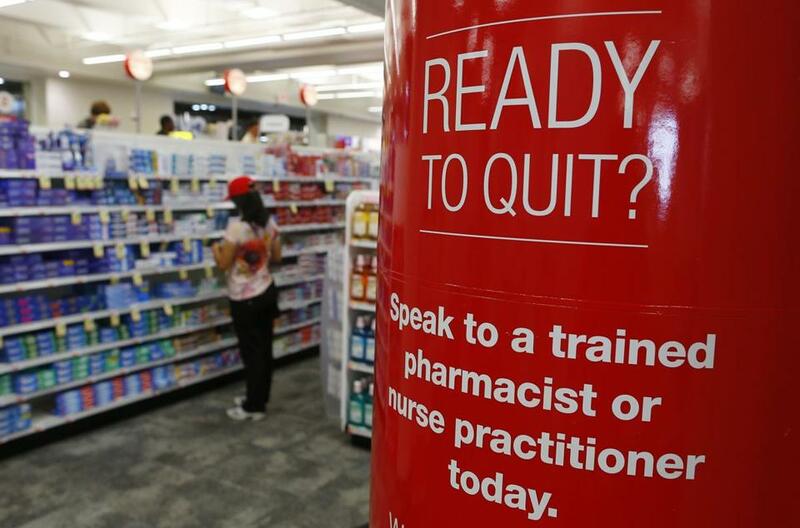 A CVS store in Boston advertised its smoking-cessation products. <?EM-dummyText p> CVS Health surprised the nation when it proved that even big companies can quit tobacco. The Woonsocket, Rhode Island, chain that operates 7,800 stores stopped selling tobacco products last September, a move that complemented its plan to expand health care services at the pharmacies. Cigarettes, cigars, and other tobacco products were taken off the shelves, replaced by smoking-cessation products like nicotine patches, gums, and inhalers. Antismoking signs also appeared. The company also changed its corporate name from CVS Caremark Corp. to CVS Health to match the new strategy. 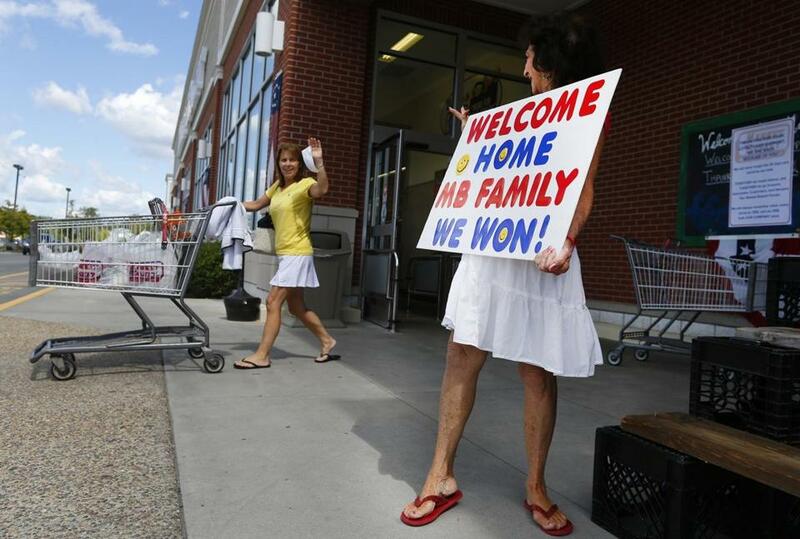 When Market Basket stores returned to normal in late August, customers and employees celebrated. In an age when some chief executives earn hundreds of times more than their workers, who could have even imagined the employee revolt at the Market Basket grocery chain? Thousands of supermarket workers took to the streets last summer to protest the firing of company president Arthur T. Demoulas. The protests went on for more than six weeks, until Demoulas struck a deal to buy out rival relatives and return to the company’s helm. Employees of Market Basket weren’t just fighting for their beloved Artie T. They were fighting to preserve retail jobs that give employees a living wage and a chance to retire without, well, having to bag groceries on the side. In the trash and inside closets. That, Liz Powers discovered, is where the artwork made by many homeless and disabled people ends up. So she and her brother Spencer created ArtLifting, which works with shelters to create a marketplace for that art. It’s run as a social enterprise focused on creating a social benefit, not maximizing income. In the spirit of that goal, artists are paid 55 percent of the proceeds from each sale, giving them a chance to earn their own living. ArtLifting has a gallery in the Boston Design Center and in little more than a year has grown from four artists in Boston to 50 artists in eight cities — lifting them, as the name says, with their art. Zipcar has offered the freedom of pay-by-the-hour car rentals for 15 years, but drivers have always been bound by one restriction: A vehicle must be returned to its original parking space. Not for long. Last year the Boston-based company began testing a one-way service that allows a driver to pick up a car in one location and leave it in another. So you could drive across town in the rain, then bike back if the weather cleared up. Zipcar also is bidding for 150 permits to be issued by the City of Boston that would allow renters to park in any public spot free of charge. Capsules written by Scott Kirsner, Sacha Pfeiffer, Taryn Luna, Casey Ross, Jon Chesto, and Callum Borchers. Send comments to magazine@globe.com.